The premium construction of Olympus mirrorless cameras lets you shoot virtually anywhere. 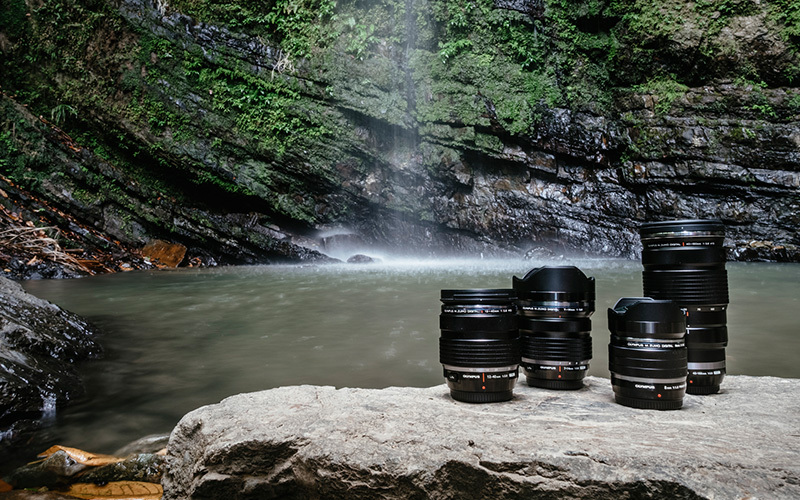 Plus, choose an interchangeable M.Zuiko lens for any shooting situation. 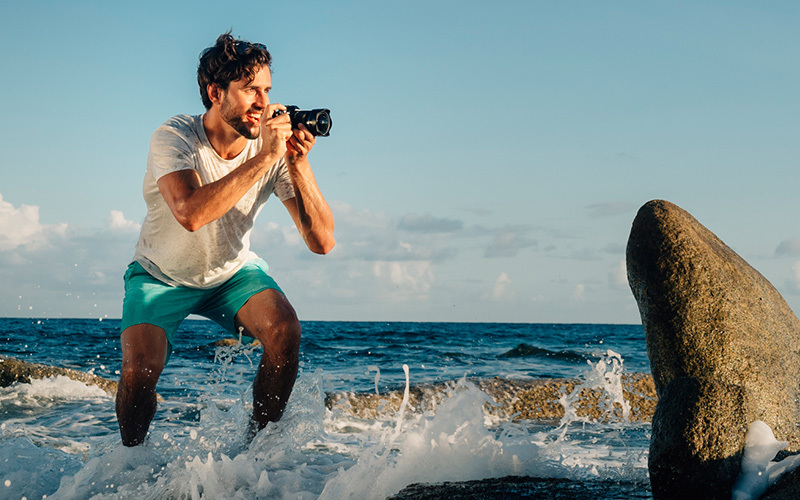 If you're looking for the speed and ease of a point-and-shoot, choose a Tough model that combines advanced imaging technology with rugged features. Olympus mirrorless systems are compact enough for comfortable shooting, but pack impressive technological firepower, similar to bulkier DSLR cameras. The 5-axis Image Stabilization technology captures detailed photos in low light or when your subject is moving. Plus, F.A.S.T. Autofocus means you'll never miss a shot. Look for models with Wi-Fi built in for quick convenient sharing. 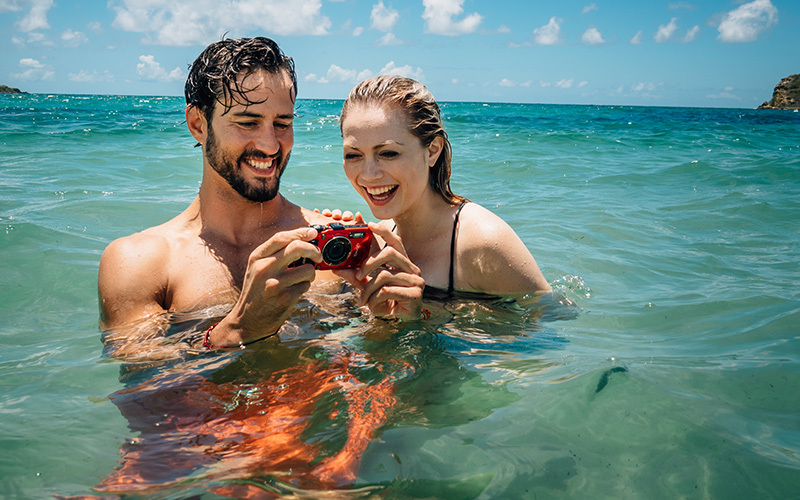 Some Olympus mirrorless cameras even boast splashproof/dustproof construction. Olympus provides a lens for every shooting situation. Choose from a selection of wide-angle, telephoto, fast primes, and macro lenses. M.Zuiko Premium lenses and the splashproof M.Zuiko PRO models are both equipped with full-metal construction for dependability in adverse conditions. Also enjoy precision quality glass with Z.E.R.O. coating to minimize light flaring. The durable shockproof, waterproof and freezeproof design means these cameras were built for performance — even in extreme conditions. The TG-4 and TG-870 are both waterproof down to 50 feet and offer a crushproof design that can withstand 220 pounds per foot. Plus, they're shockproof from drops of up to 7 feet, and are freezeproof to temperatures down to 14° Fahrenheit. With this kind of durability, and Wi-Fi built in to some models, you'll be able to share every adventure, no matter where you go. The perfect companion for any lifestyle: musicians, journalists, filmmakers, students and businesspeople. Capture the original sound with high-quality recordings. Plus, Olympus digital recorders are stylish, lightweight and easy to use.